One Large LED light panel which is on the top of the tent provides a very bright Lighting. Silver reflective interior of the tent makes lighting evenly spread to minimize shadows. 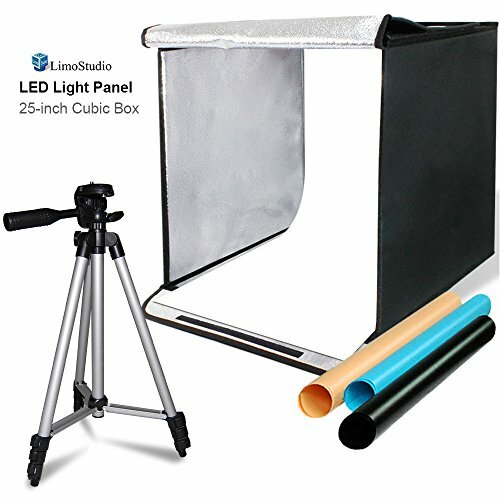 Tent Dimension: 25" x 25" x 25"
LED panel dimension: 12" x 12"
Max load capacity: up to 2.5 Lbs.